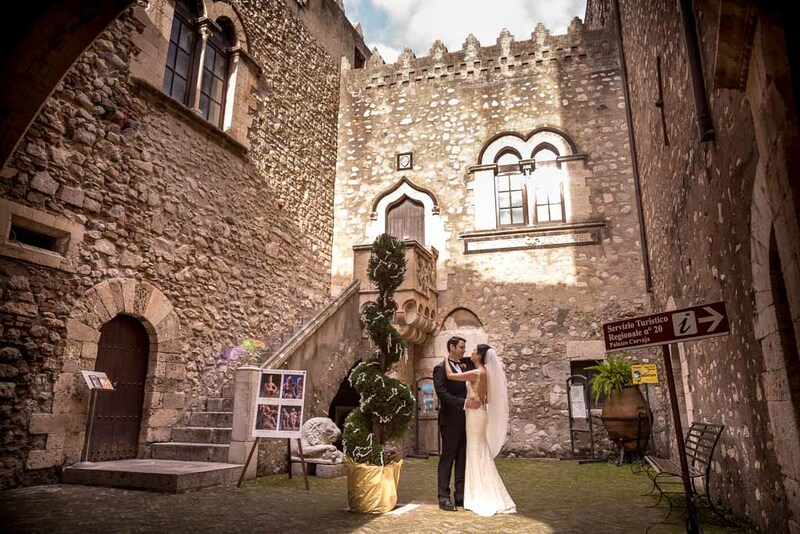 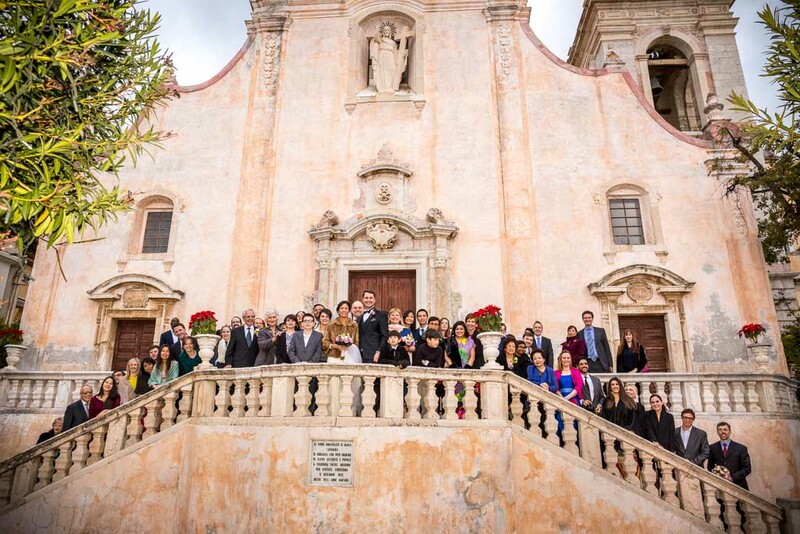 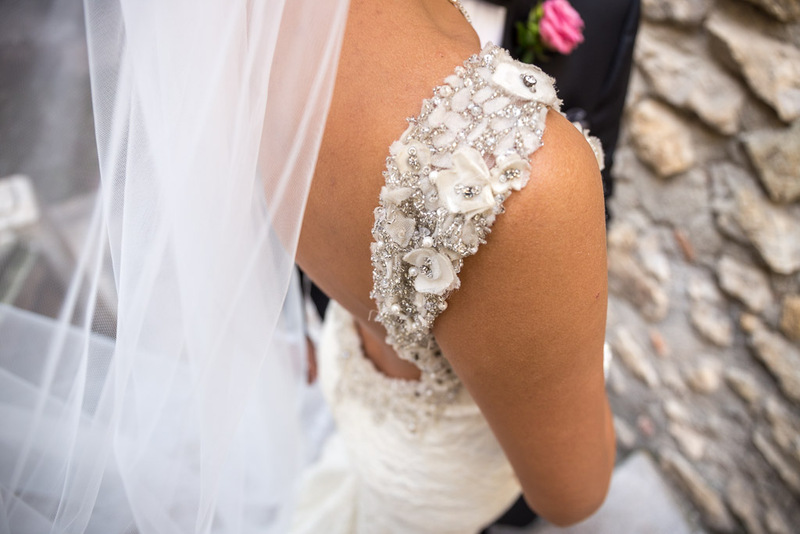 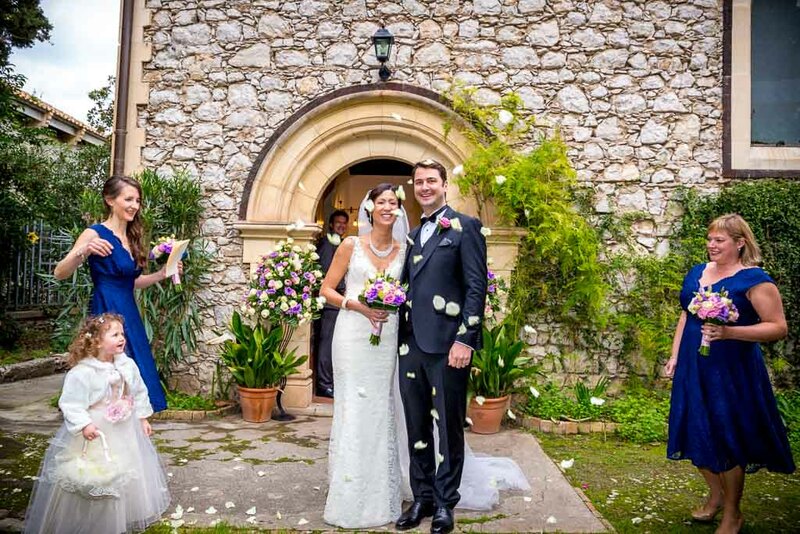 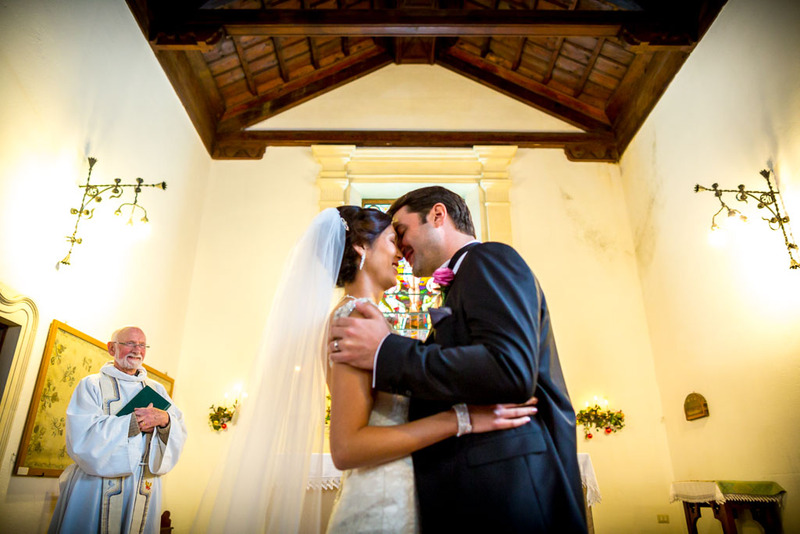 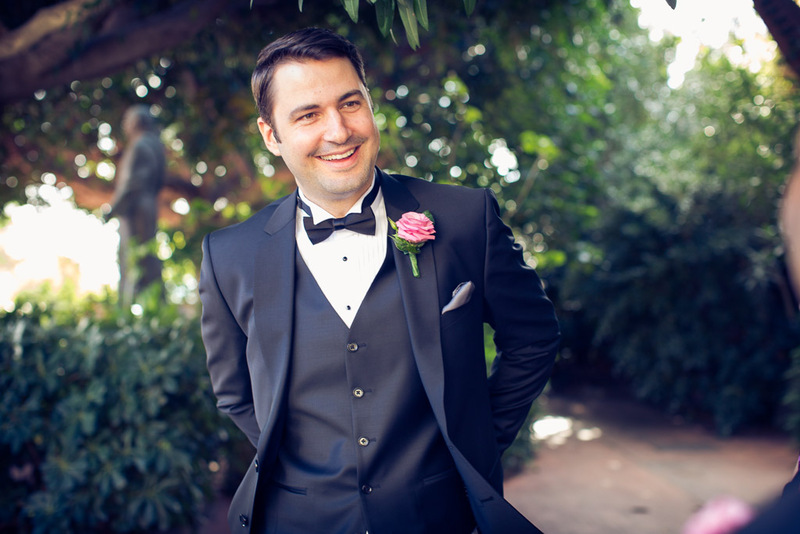 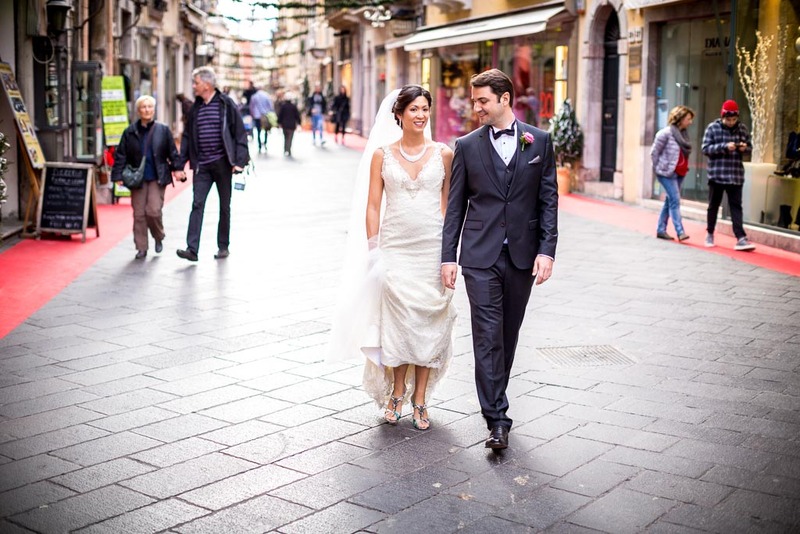 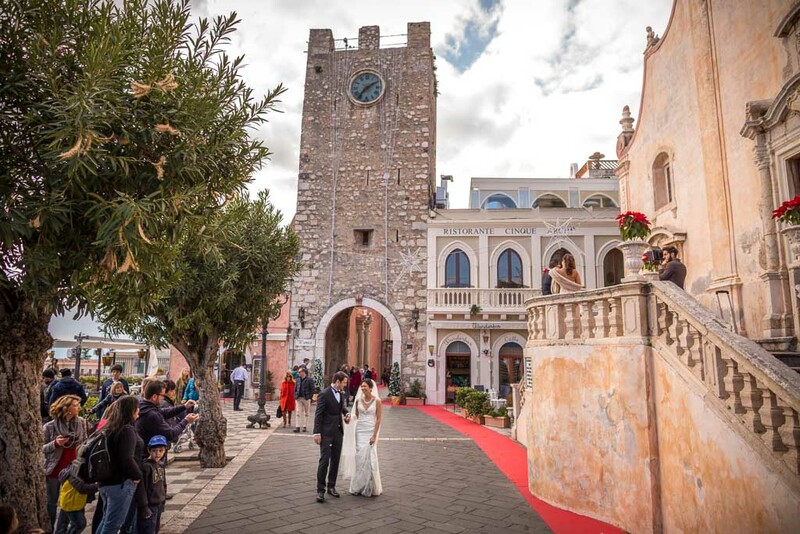 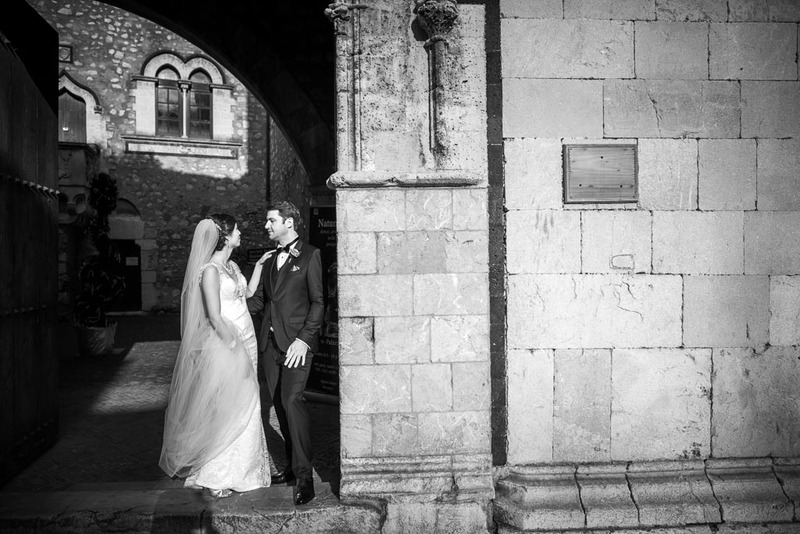 Anglican wedding Taormina of Debbie and Andrew was a lovely winter fairytale. 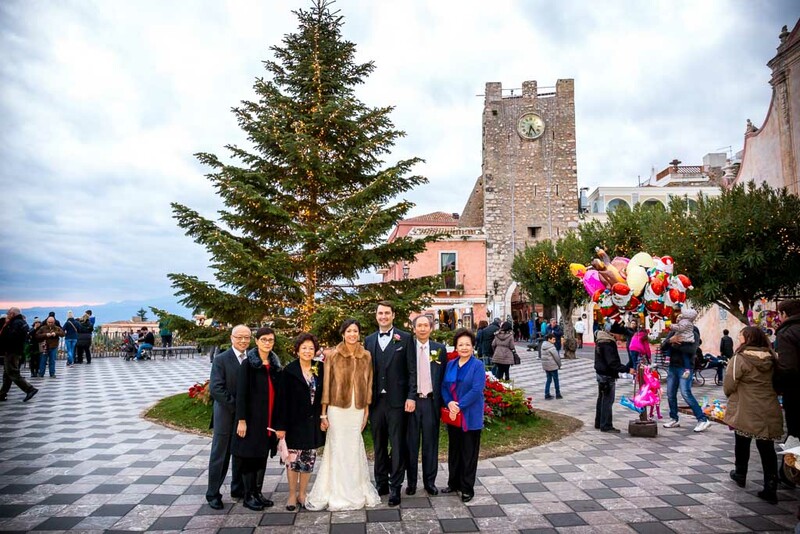 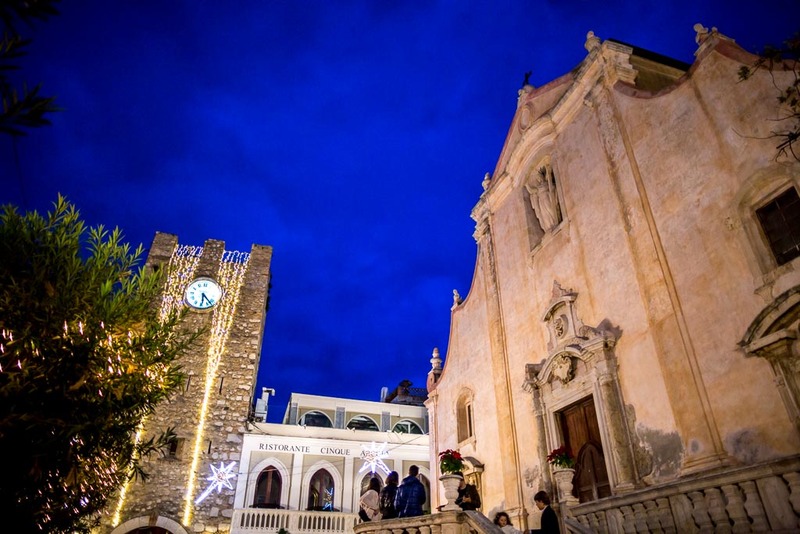 It was celebrated in the romantic St. George’s Anglican Church in Taormina, overlooking Naxos gulf, on 30 of December. 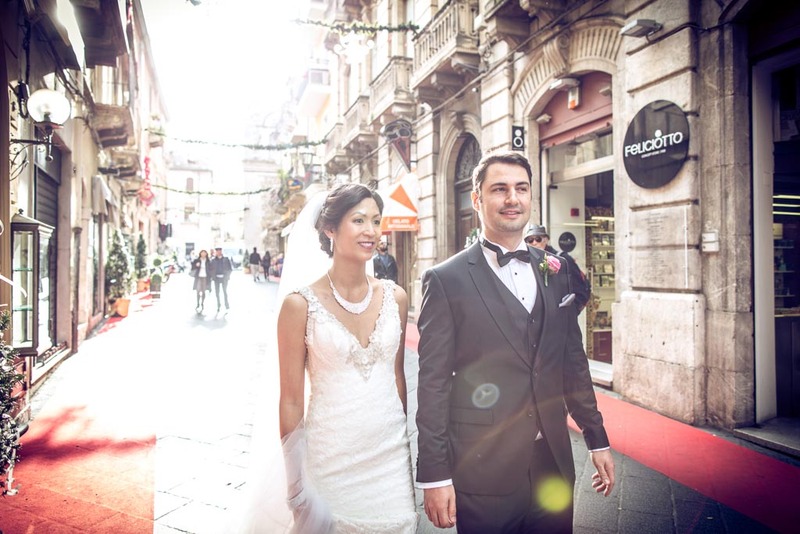 Moreover, the newlyweds have been blessed by a gorgeous sunny day. 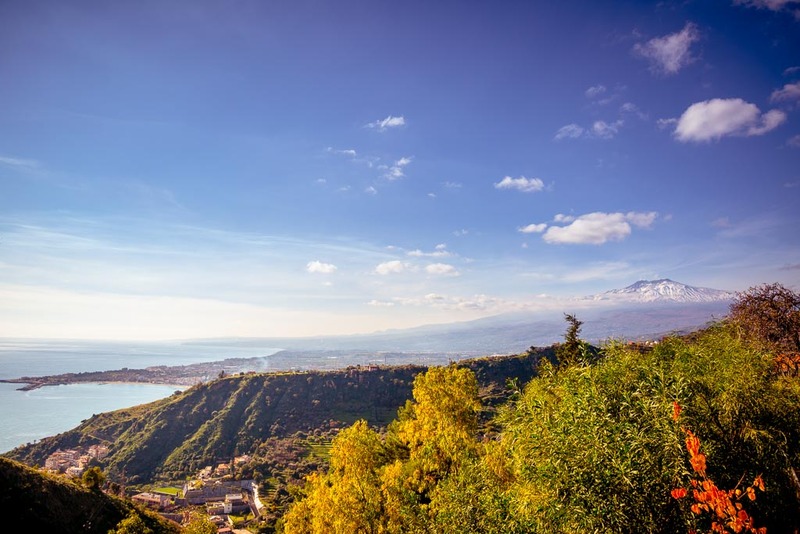 A typical sicilian winter day! 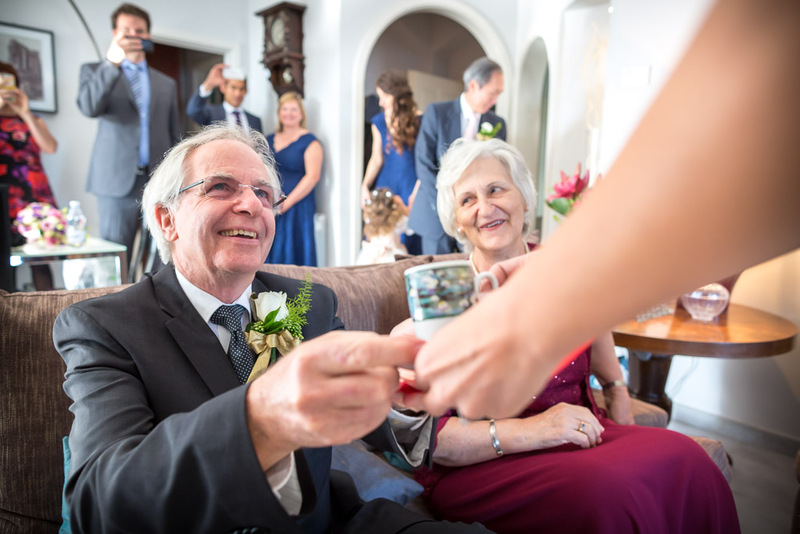 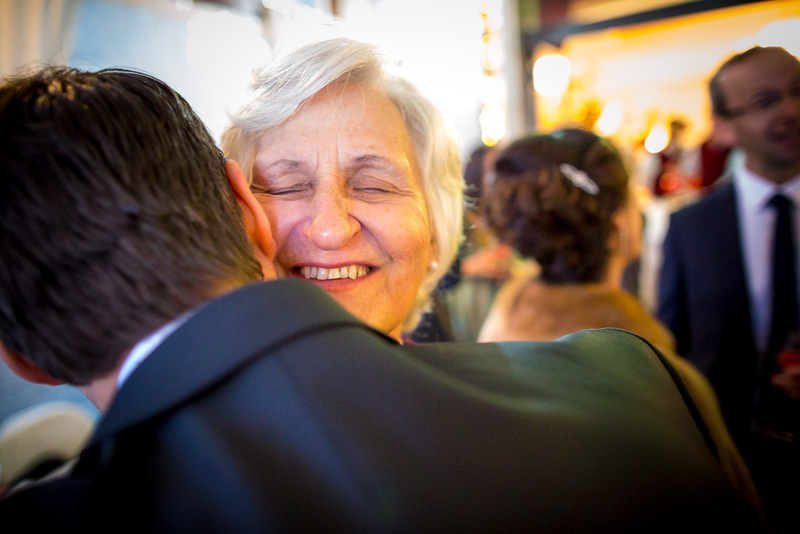 Debbie’s family is originally from Asia, therefore she celebrated the Tea Ceremony to honour her parents and family. 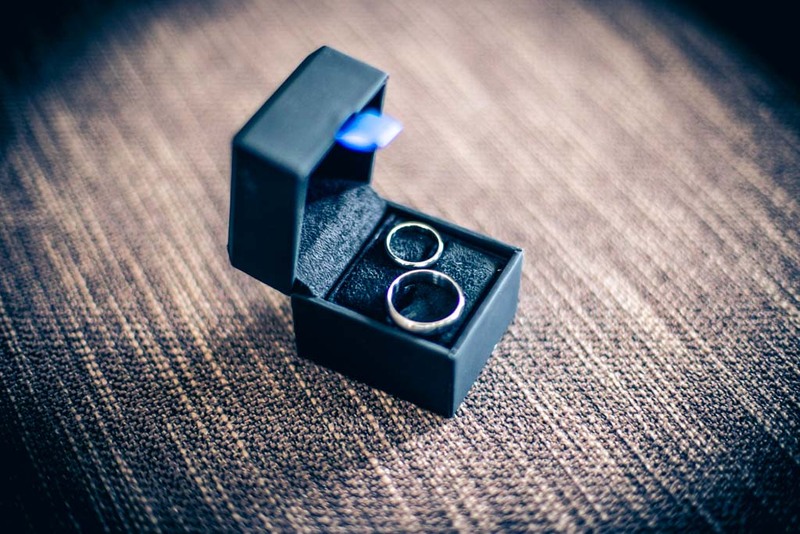 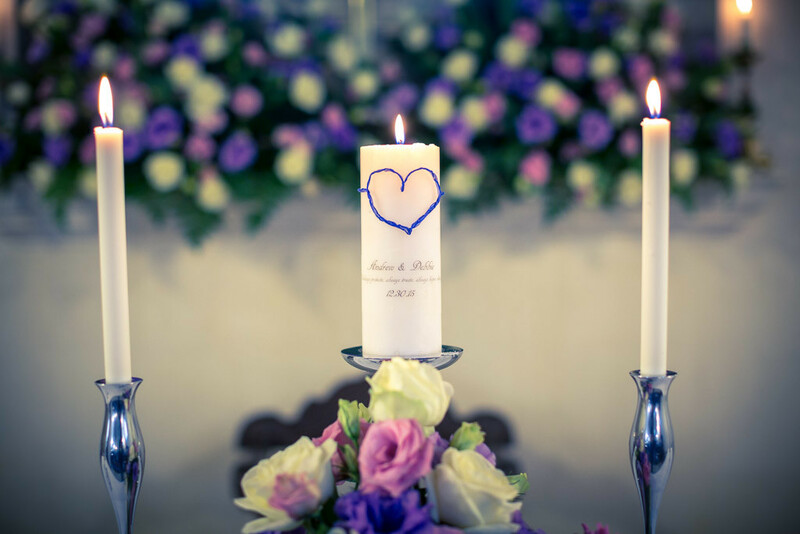 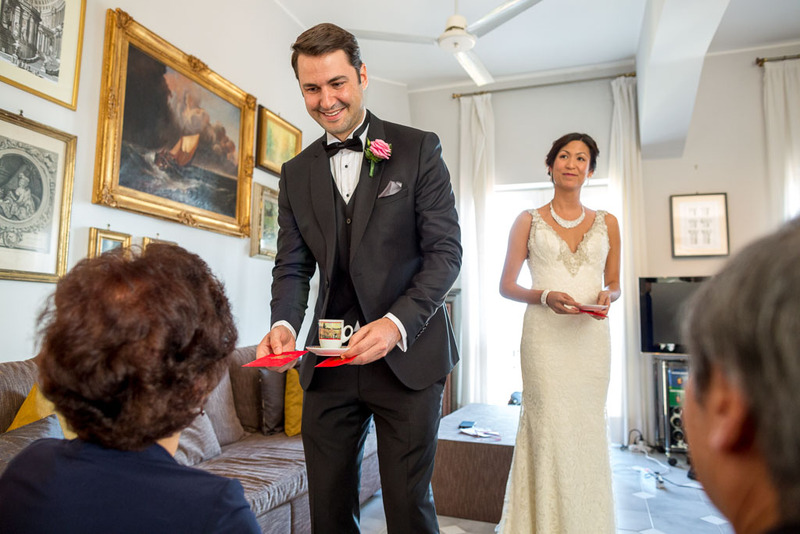 This is a very important wedding event in asian countries and it’s made to honour the newlyweds’ families and to bless the bride and groom, who are going to be a family of their own. 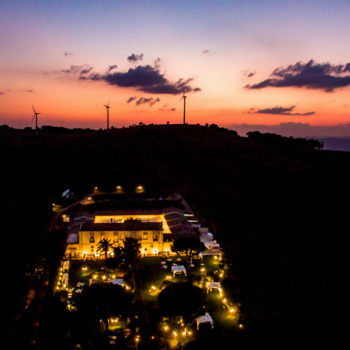 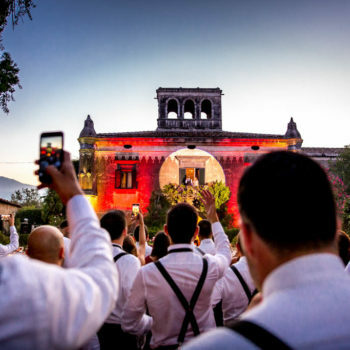 It’s been a beautiful ceremony, celebrated in a luxury villa, in the centre of Taormina. 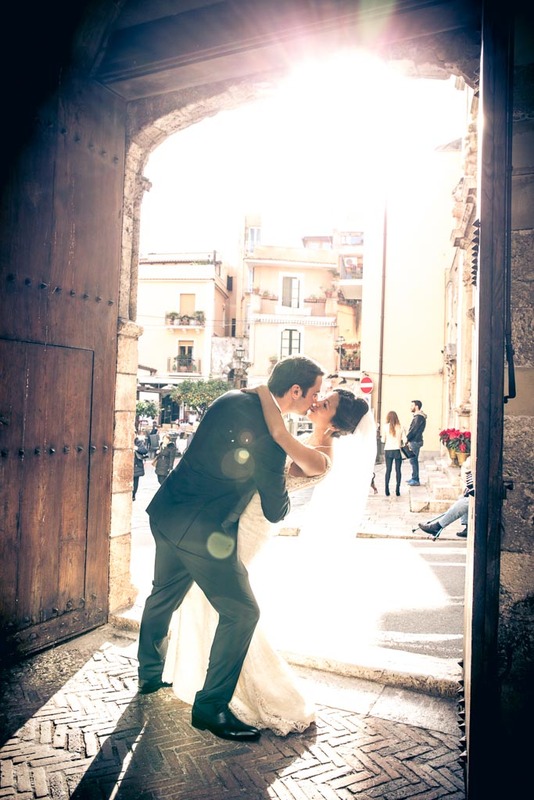 Andrew and Debbie live in London, but they have been seduced by the sicilian sunny weather and the blue sea. 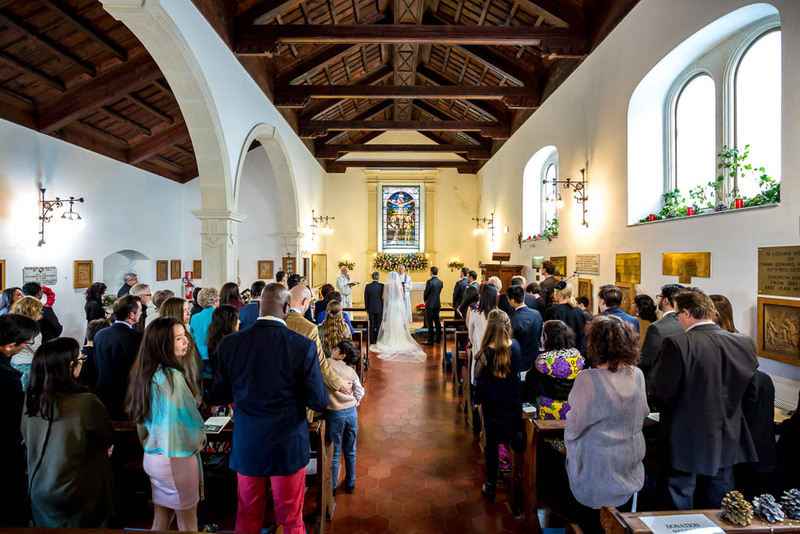 Therefore, they have decided to celebrate their Anglican wedding Taormina. 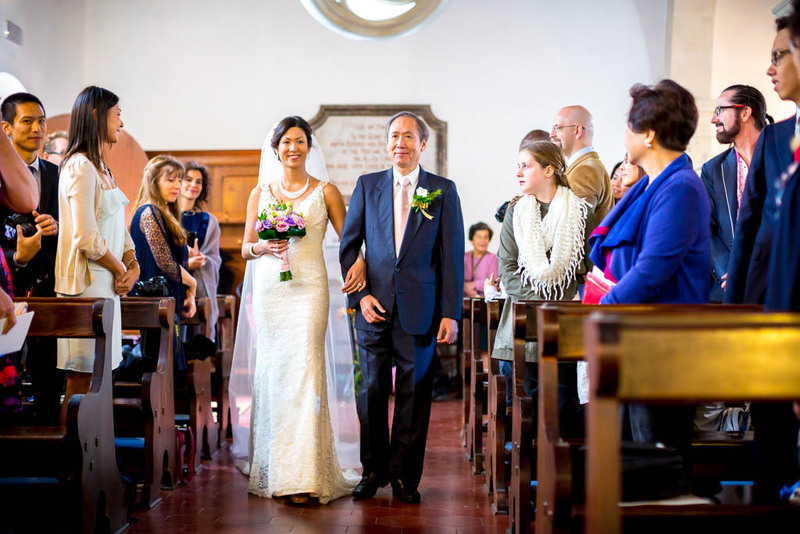 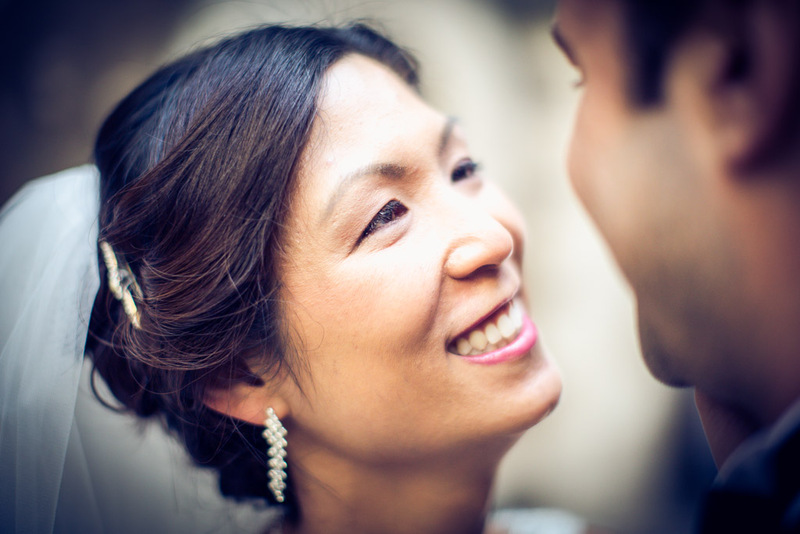 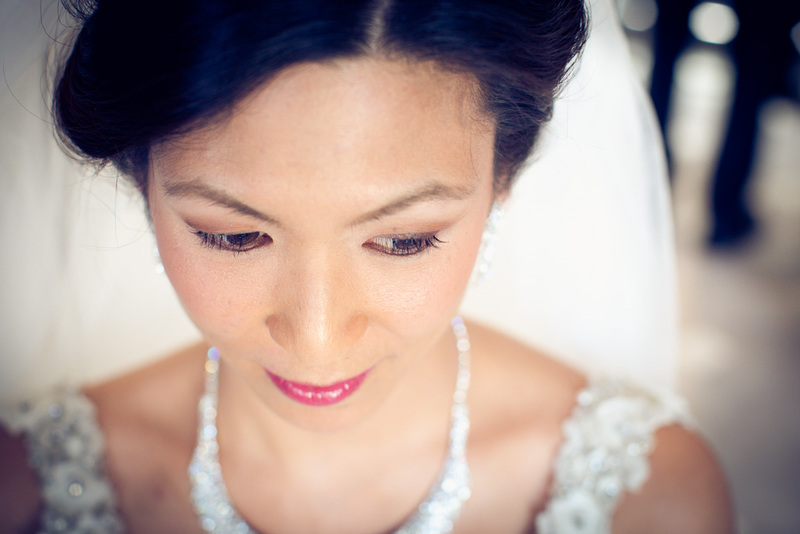 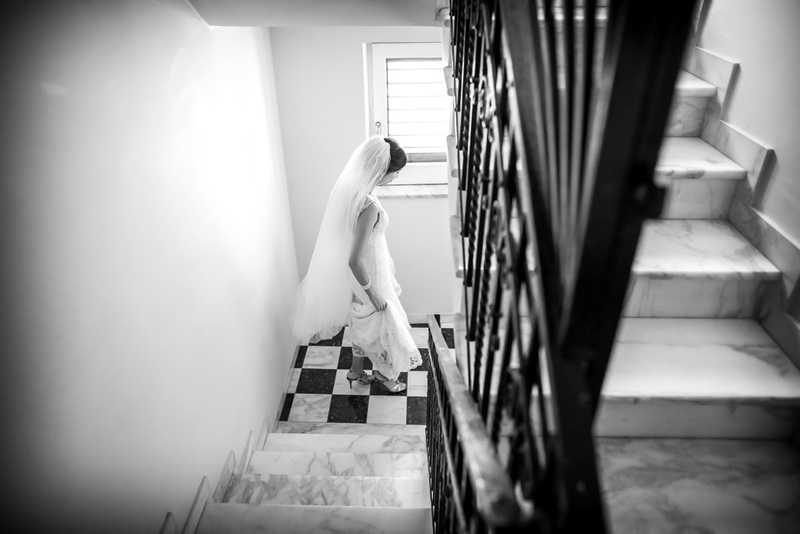 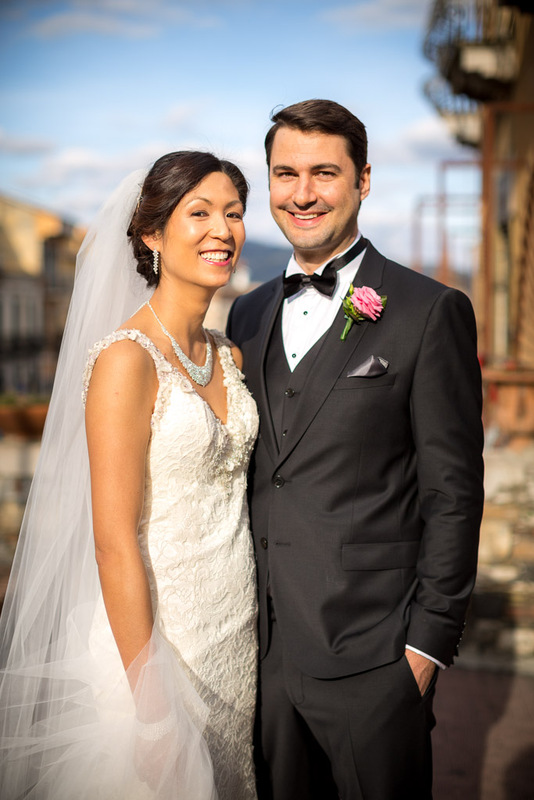 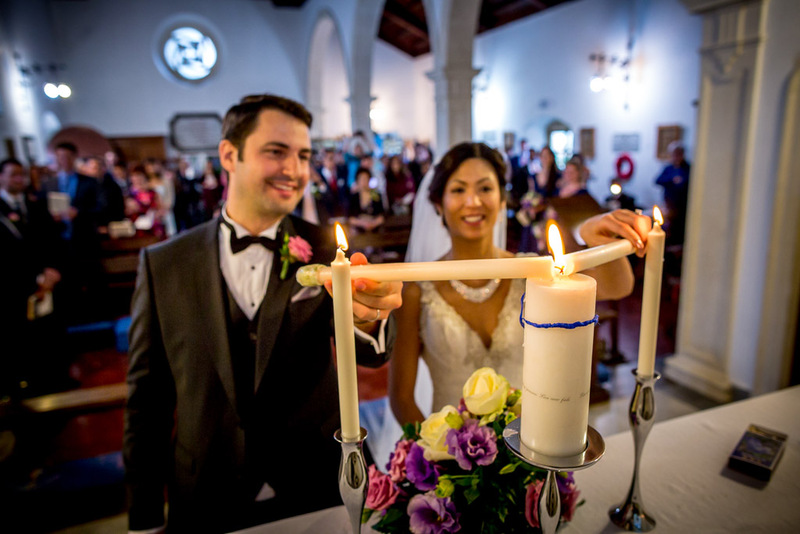 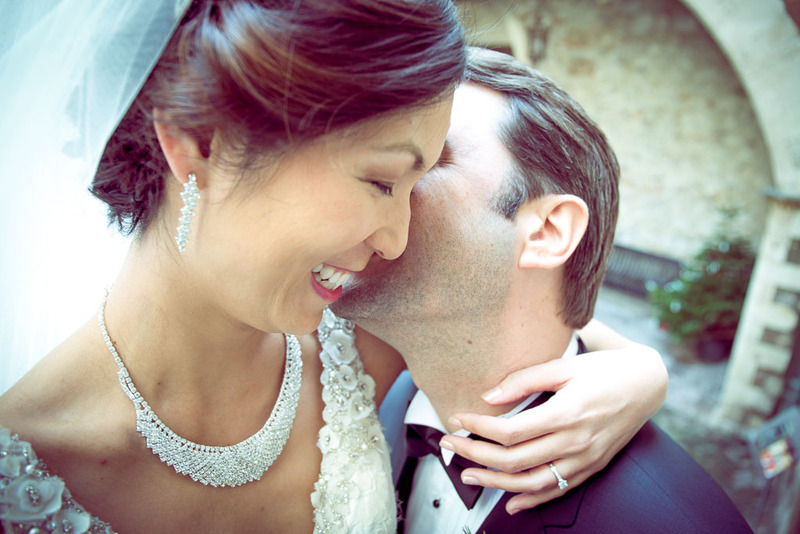 After the Tea Ceremony, Debbie and Andrew walked together to the gorgeous, little church. 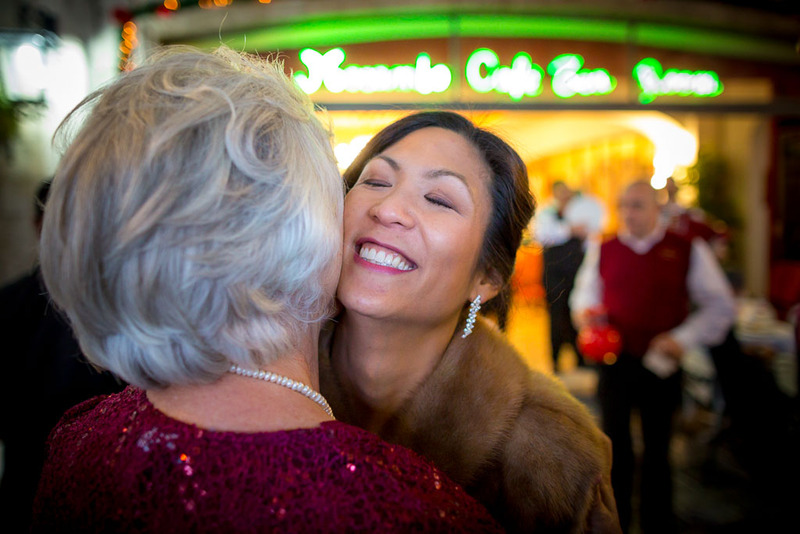 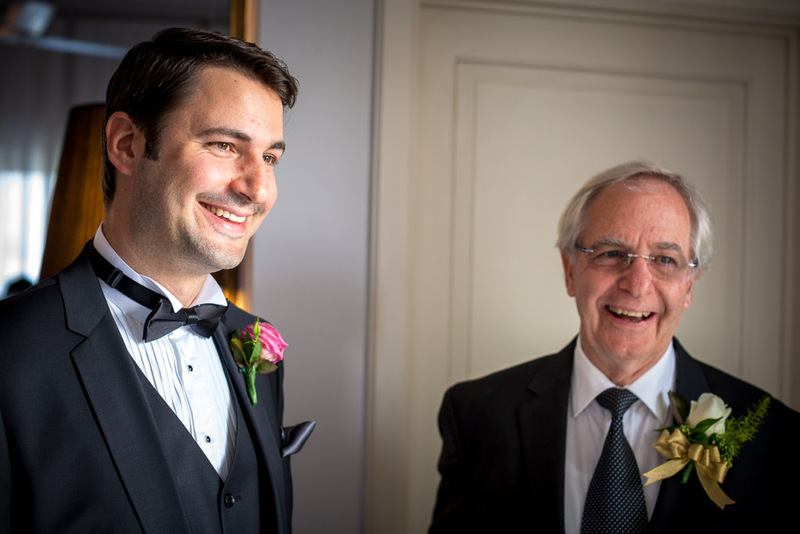 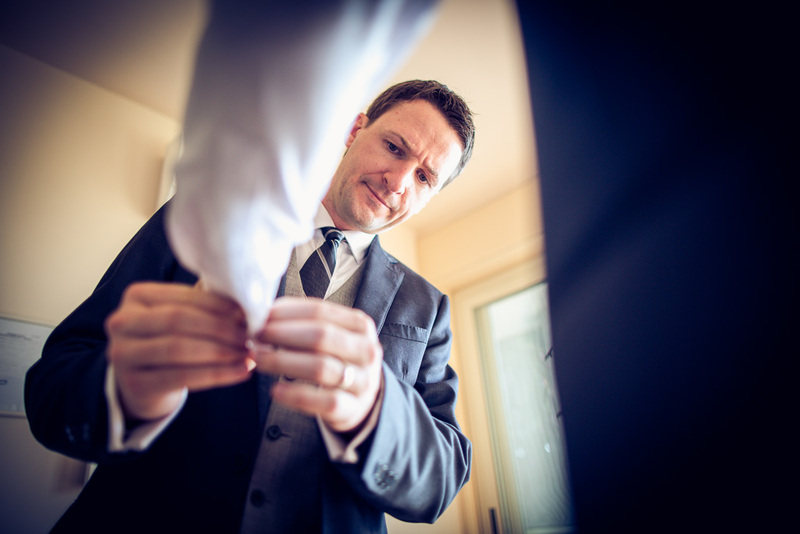 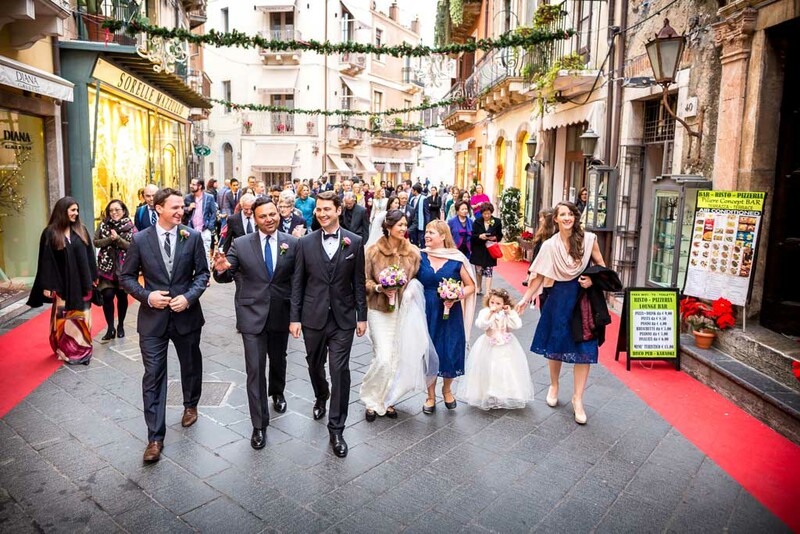 They celebrated their wedding ceremony surrounded by their loving family and friends, in a sweet and intimate atmosphere. 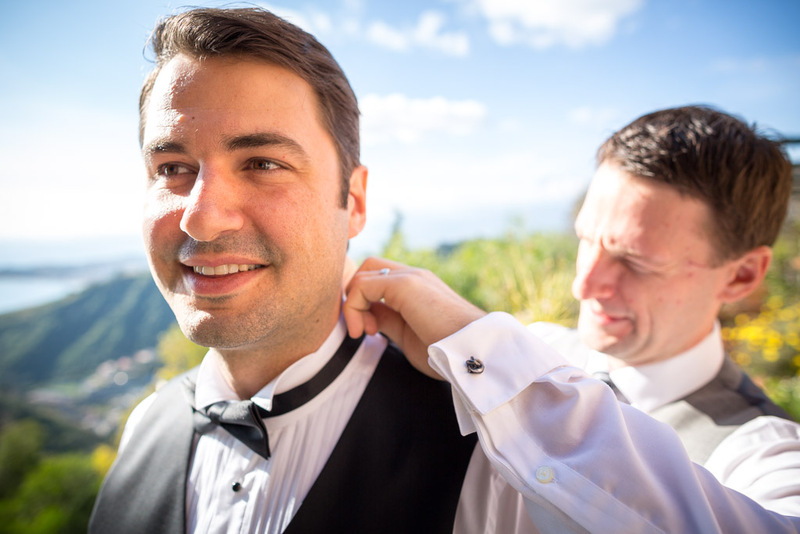 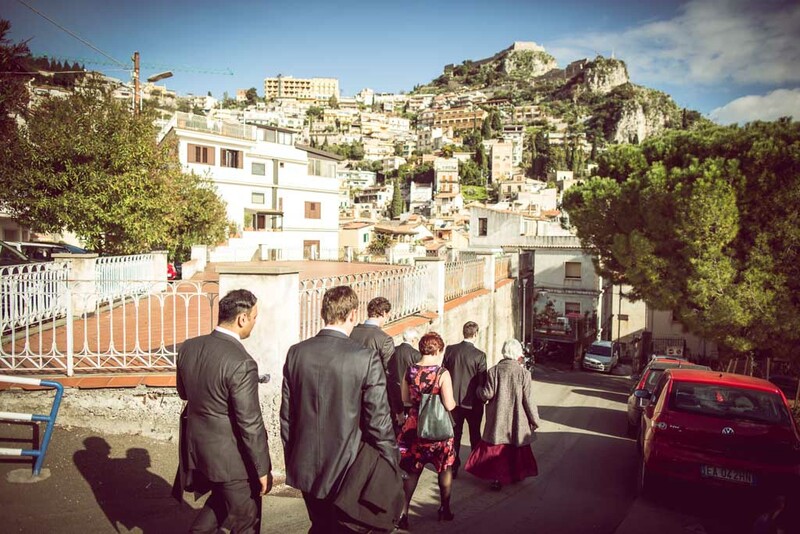 At the end of ceremony, they all walked down to the famous Mocambo, overlooking the amazing gulf of Taormina, to taste a perfect Sicilian style aperitif, cheering and celebrating the most beautiful day of Andrew and Debbie.